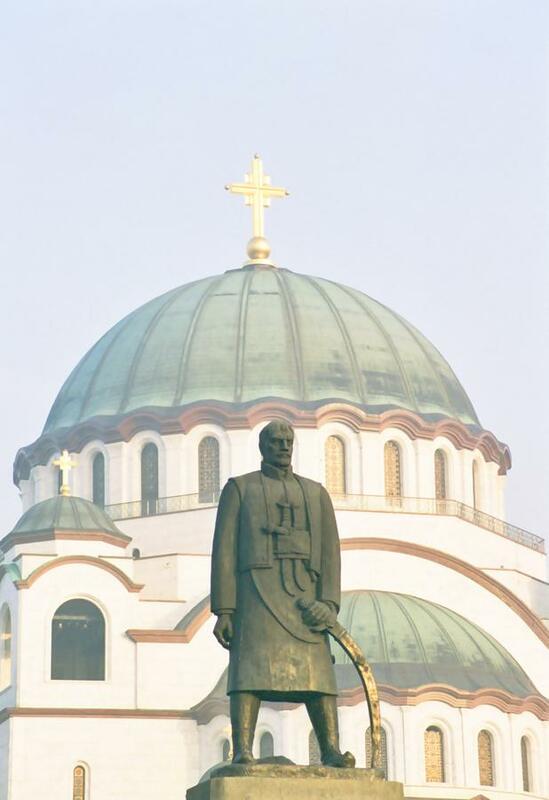 The massive yet airy bulk of Sveti Sava is here foregrounded by a statue of one of the great Serbian 'defenders' from the Karadjordje line of kings. Statues such as this one, of stern-looking, heavily armed warlords, are dotted throughout the city centre. In my opinion, this particular example represents the strongest, clearest example of the warrior nature that still survives in serbian culture.